The villagers of the Carpathian mountains lead a simple life at the beginning of the twentieth century - much as they have always done. They are isolated and remote, and the advances of the outside world have not touched them. Among them - Piotr, a bandy-legged peasant, whose 'entire life involved carrying things'. A notional subject of the Austro-Hungarian Empire, all he wants in life is an official railway cap, a cottage with a mouse-trap and cheese, and a bride with a dowry. 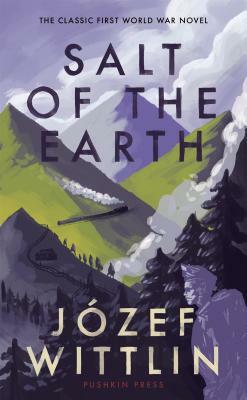 But then the First World War comes to the mountains, and Piotr is drafted into the army. Unwilling, uncomprehending, the bewildered Piotr is forced to fight a war he does not understand - against his national as well as his personal interest. In a new translation, authorised by the author's daughter, Salt of the Earth is a strongly pacifist novel inspired by the Odyssey, about the consequences of war on ordinary men. Józef Wittlin (born 1896) was a major Polish poet, novelist, essayist and translator. He studied in Vienna, where he met Joseph Roth and Rainer Maria Rilke, before serving in the Austro-Hungarian army in the First World War. As well as Salt of the Earth, he published numerous collections of poetry, many of which were characterised by their strong pacifist sentiments. With the outbreak of WWII he fled to France and then to New York, where he died in 1976. Translator Patrick Corness has been a university teacher for most of his career. He translates to English from Czech, German, Polish, Russian, and Ukrainian. Among others, he has translated Cyprian Norwid, Marina Tsvetaeva, and Vasyl Gabor. He is a Visiting Professor of Translation at Coventry University and an Honorary Research Fellow at the Centre for Translation Studies at the University of Leeds.